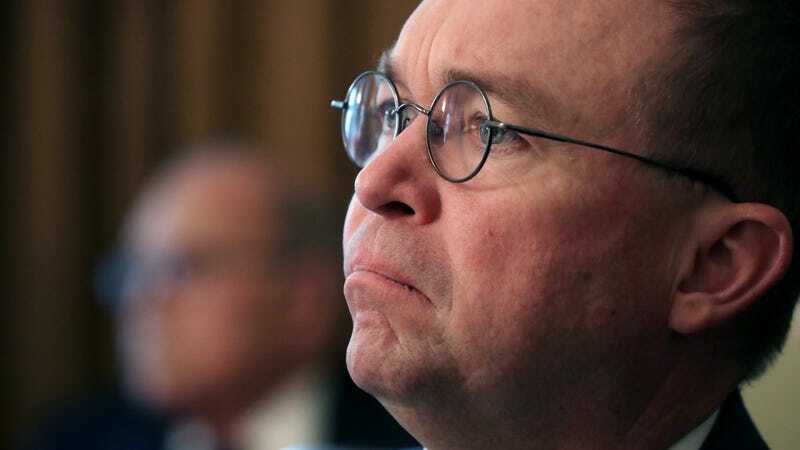 Mick Mulvaney, Donald Trump’s budget chief and the acting White House Chief of Staff, is a very bad man who wants to abolish the Affordable Care Act and delights in shutting down the federal government. And he is also, we now know thanks to a delightful investigation from HuffPost, reportedly very bad at trivia. While it would seem that Mulvaney has a lot on his plate these days, he still manages to spend “a portion of nearly every workday getting beaten at a private online trivia game” called Learned League, according to HuffPost, which makes a very convincing argument that the player known as “MulvaneyM” and Mulvaney are one and the same. Unfortunately for Mulvaney, he’s as terrible at trivia as he is at his job. (The two are perhaps related.) During an approximately one-month stretch from February to the end of the March, he lost the vast majority of his matches, winning only four out of 25. Mulvaney, sadly, finished last in his division. HuffPost posted some of the many questions he got wrong. Admittedly, I too would not know that “currency” is the answer to the question, “In economics, seigniorage is defined as the profits made by a ruler or government from the production of what?” but I would maybe expect our top budget official to know? While it has over a dozen titles in its portfolio, the publishing company American Media, Inc., has been newsworthy recently for what weekly, the title with which American Media was originally affiliated when the company was founded? According to a line in the show’s theme song (the fifth line, to be exact), where precisely was the title character born and raised on the TV series The Fresh Prince of Bel-Air? What is God, according to the title of a recent hit song by Ariana Grande? In the mid-1980s, Brooklyn-born rappers Cheryl James and Sandra Denton achieved stardom in what R&B group, which, despite its name, was actually a trio (with DJ Spinderella)? Better luck next season, Mick.